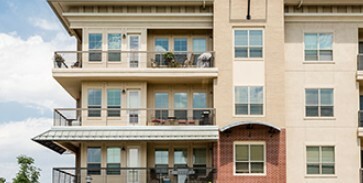 Multifamily property management is becoming more and more online marketing geared. 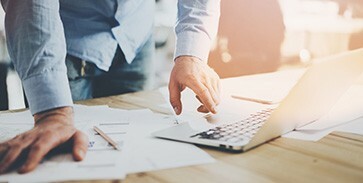 With Zillow rolling out their new rent online features and other real estate platforms pushing to keep up, an online presence is more than essential — it’s basically the bread and butter of your entire real estate investment portfolio. 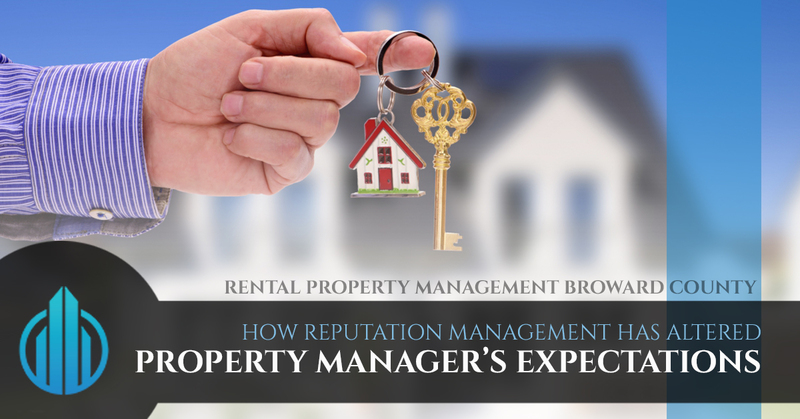 And if online marketing is the future of property management, then reputation management is the key to online marketing. Managing the marketing for multiple units on just one property can certainly be daunting, but wrapping the reputation management into it, the task can suddenly seem much worse than just “daunting.” Especially since reputation management for a property is, arguably, more important than almost any other type of online marketing. When people are looking for a new place to live and they’re browsing apartments, they’re basing their perceptions on a couple of factors — the pictures and the reviews from past residents. That’s why it’s more important now than ever before to monitor the negative reviews from tenants who simply disagreed with their lease and other mishaps more closely than ever before. That means you’ll need to be covering several major platforms: Google (potentially the most important since they’ll repress your results if you get enough bad reviews without good ones), Facebook, Instagram, Yelp! and several others. Why is this so important? Because the multifamily properties that are being managed properly with their online presence always in mind benefit from higher closing ratios, renewal increases, and average income rental incomes. They also enjoy lower turnover rates and fewer cut-off applications. Their tenants are happier and it’s reflected in their reviews and their actions. Happy tenants, happy multifamily property, but as we all know that’s not so cut and dry. It’s much simpler than you think in many respects. While many tenants will eventually review on how quickly their maintenance inquiries were answered or how the carpet smelled when they moved into your multifamily property in Broward County, most of them won’t. If you glance at other places in your neighborhood, you’ll likely notice that many places have very few reviews, or they have quite a few bad ones. That’s because tenants have better things to do than be constantly thinking on the state of their apartment and the property management associated with it. Most tenants won’t speak up on a review platform unless they’re unhappy, hence the many bad reviews and the very few reviews overall you’ll see when browsing apartments online. Getting good reviews is much easier than you’d think. First, have faith in your property. If your unit is priced competitively, gets a good number of applicants each season and doesn’t see a huge turnover rate from year-to-year, your tenants are likely already happy. Adding a new amenity here and there will both increase the number of people who stick around from season to season, but the grand opening will give you a chance to ask for good reviews. Google, the king of the online marketing industry, is known to be a bit harsh on folks who try and manipulate their customers to give them good reviews. They tanked a law firm in Florida a couple of years ago because they caught wind that they were straight up paying people for their reviews. However, there’s nothing against soliciting reviews with hot chocolate or punch. You could do something as simple as offer Starbucks coffee to your tenants once morning a week before working hours and ask them for an “honest review,” of their unit. They’ll be filled with the good feelings that free stuff provides and they’ll likely have no problem jumping on Google or Facebook to offer a favourable opinion about your multifamily unit. Before you proceed to try and respond to the review (you should always do this), read it a couple of times over and make sure you’ve got a firm grasp of all their points of contention. Is the resident complaining about a broken washing machine or increased rent fees? A quick explanation and apology can totally be enough to smooth out the wrinkles. Most importantly it’ll show that management responds to issues, it doesn’t just ignore them which is a boon in the minds of most aspiring tenants. Most reviews though, they won’t be based on any sort of fact or actual pain points and things that happened. They’ll mostly just be a matter of opinion. Respond anyway. Approach the issue with compassion, and if all else fails, don’t be afraid to treat them like a human being, not a customer. If they state something that’s untrue, gently correct them and suggest they give you a call to talk it out personally. They won’t likely call you, but it will make your team look more open to critique and discussion. Thus, incoming tenants won’t feel trapped if they’re the sort who like to prepare for things ahead of time. Responding to reviews is all about making your incoming tenants and current tenants feel heard and supported. If your responses stem from this notion, you’ll have no problem responding eloquently. The best part is, you don’t actually have to bother with all of this nonsense. At DNS Property Management, we’re passionate about giving your time back to you. Reputation management and online marketing takes a lot of time. That’s time you could spend with your family, enjoying the Florida weather, or doing something you really want to be doing. Pass off this task and the rest of the taks surrounding your properties to DNS and start taking advantage of the time you’re losing to obligation now. We’re eager to hear from you, contact us with any questions you have about our services and values. Looking to start investing in real estate in a more hands-off fashion? Check out our financial investment services for your next portfolio expanding venture.